Brand New 9SMD LED light panels & LED connecting adapters. Sold in pair, price is for 2PCS Ultra Blue Lights. 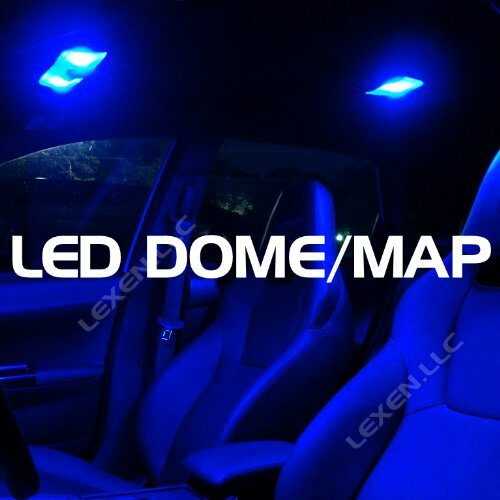 These light panels will fit on your dome/map lights. It also fits on your trunk/courtesy/side door lights if your vehicle has one. The back of each LED panel has 3M self-adhesive tape. Our SMD LED is very high quality and produces super bright light output. It emmits a stronger, cool color and brighter than the stock bulb. LED light works with Auto-dimming feature. LED lamp has + and – terminals, simply change the terminal around. 100% Guaranteed to fit on any vehicle’s Interior Lights! !